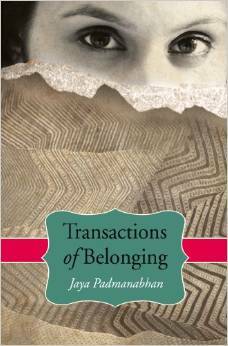 The guiding spirit of award-winning author Jaya Padmanabhan’s acutely insightful debut collection of stories, Transactions of Belonging, is found in the title. True, book titles must be meaningful. However, a closer examination of this particular title allows a far deeper appreciation of the content. A transaction is a deal, bargain, enterprise, venture, or affair. People conduct transactions every day, consciously and unconsciously. Transactions of all manners occur between family members, colleagues, and people with whom one comes in contact, which means relationships are involved. In her collection, she “examined the transactions we enter into, the compromises we make, the filters we use to justify our need to belong.” With this knowledge, the reader more intensely experiences the distress, struggles, and victories that occur in the collection under her bold but compassionate hand. 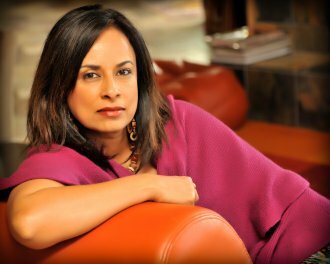 I asked Padmanabhan to talk about her two favorite stories or characters. Her response illustrated both her comprehensive empathy for the characters and her personal interaction with the writing. Compelling, emotional, disturbing, forceful, and poignant, but not without an occasional dash of humor, each story examines lives and situations that have no easy solutions. Characters from all walks of life in a variety of settings are smartly drawn and emotionally pitted against each other. In “The Fly Swatter,” Rafat lands a job as right-hand man to the Bihari Minister of Social Justice. Inseparable by virtue of the position, the young man agonizes whether to act on the Minister’s subtle advances. Mr. Raman is “Strapped for Time” by his young housemaid, who creates both extreme anxiety and sexual tension in the 81-year old man. When she demands a specific watch as a gift, he waits restlessly to present it to her only to find that time has been unkind to both of them. In “Curtains Drawn,” young Vik lives in a household of secrets, and when the situation becomes too insufferable, he makes a difficult decision. In the one-act play “Indian Summer,” three generations pick at each other over the tiniest of forgotten issues and an explosive family dilemma. Driven by dialogue and very little action, the reader is forced to acknowledge the inherent sadness of the conversation but laugh in recognition of the fundamental silliness that arguments realistically contain. At one point, Shiny’s grandmother (Amooma) declares Shiny should drink more milk to lighten her complexion. Aside from creating remarkable and diverse characters in ordinary and extraordinary circumstances, Padmanabhan employs different methods of delivery and dissimilar points at which the stories end. Very often, she eschews the neat and tidy, obliging the reader to take part in the story through debate and interpretation. “Mustard Seeds” is a personal favorite, hooking me with the first line: “Fire is like a Fibonacci sequence.” From that point, the story becomes a pendulum of emotions, swinging between sweet and painful reminiscences and the urgency of the moment. Building to an end that left me breathless and curious, I was charged to weigh all possible outcomes. For each character in every story, Padmanabhan’s sharp blade exposes cavernous wounds, allowing emotions, desires, inabilities, regrets, and bravery to surface and find their appropriate state of being. Currently, she is writing her first novel, which is inspired by one of the stories in her collection.